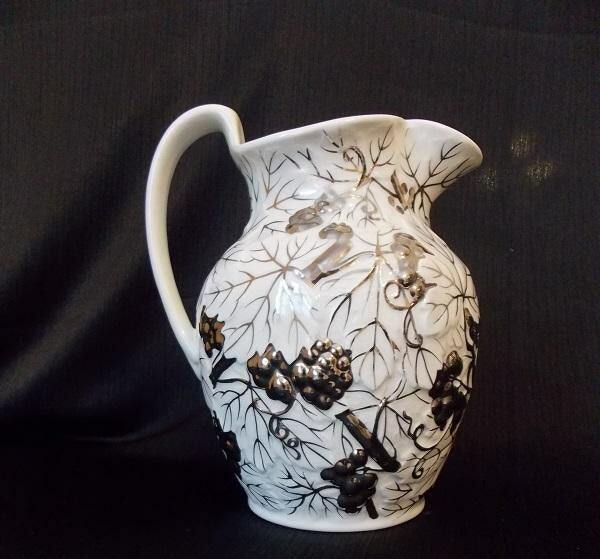 This vintage pitcher was made in England by Wedgwood of Etruria and Barlaston between 1940-1960. It is an overall white color. 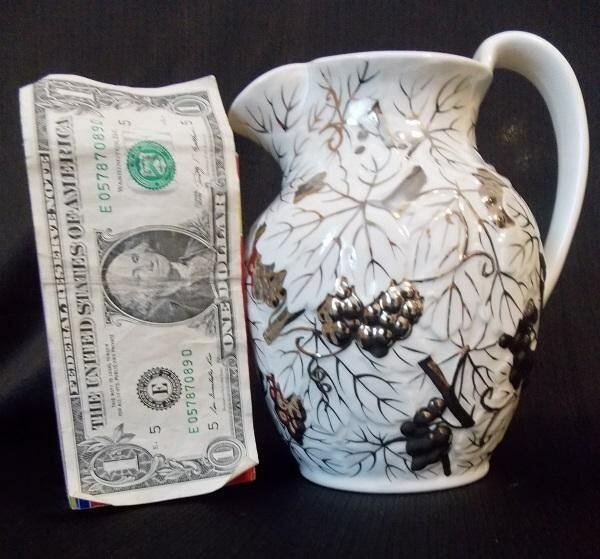 There is a silver relief grape, grape leaf and vine pattern circling around the pitcher. 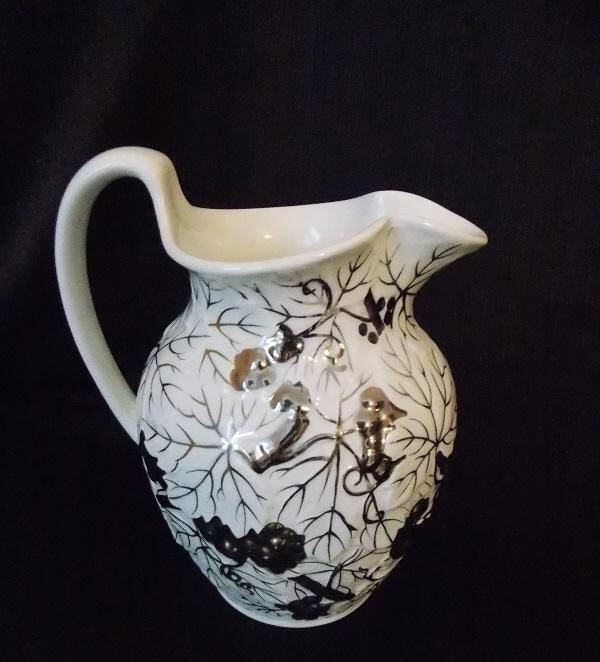 The handle and inside of the pitcher is a solid white color. It is stamped in green "Wedgwood/ of Etruria/ & Barlaston/ Made in England" and numbered "C5869 B" in red on the bottom. 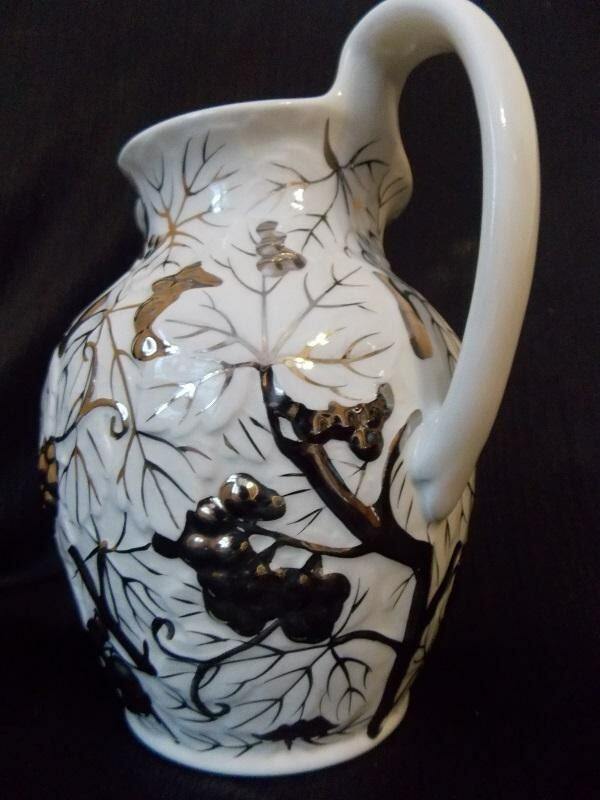 This pitcher is in excellent condition. 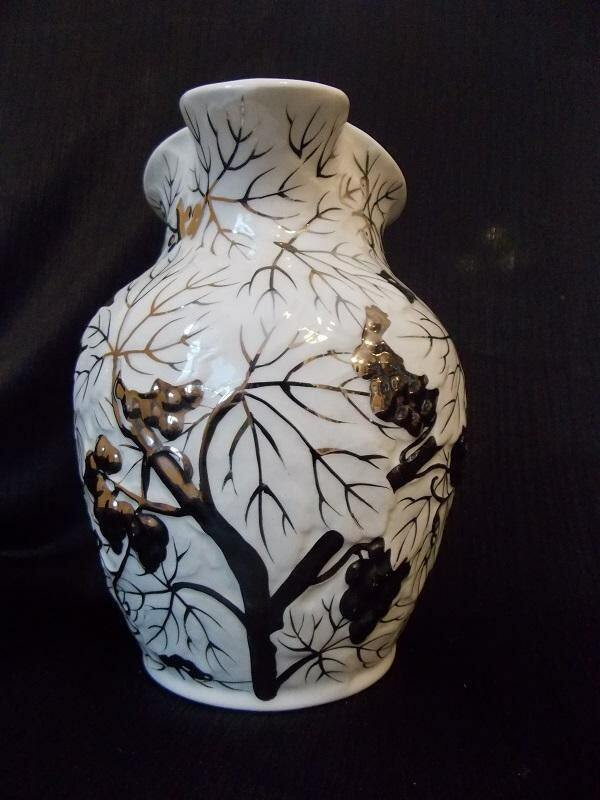 There are no cracks, chips or crazing on this piece.